Matti Luostarinen. Cluster art. Art of Clusters. Cluster table. Books of Cluster art in 2018. PrevMatti Luostarinen. Cluster art. Art of Clusters. Cluster table. 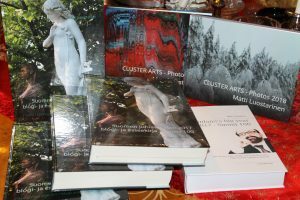 Books of Cluster art in 2018.